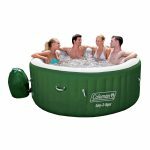 What Causes Foaming in a Hot Tub? We would have always dreamt of having our own private jet, a private bungalow, a private movie theater, a private pool and many other such things. Well, all may not fulfill their dreams, but few definitely can. For those who cannot afford them there are alternatives which might not feel like them exactly, however, will give you the exact joy of having them. The Hot tub is one such thing. Easily affordable and less on maintenance.